Ontario-crafted country outfit James Barker Band formed in 2013, and consists of James Barker, Taylor Abram, Bobby Martin, and Connor Stephen. As winners of the 2015 Boots and Hearts Emerging Artist Showcase, they were awarded a release with Universal Music Canada and an all-inclusive trip to Nashville, Tennessee. 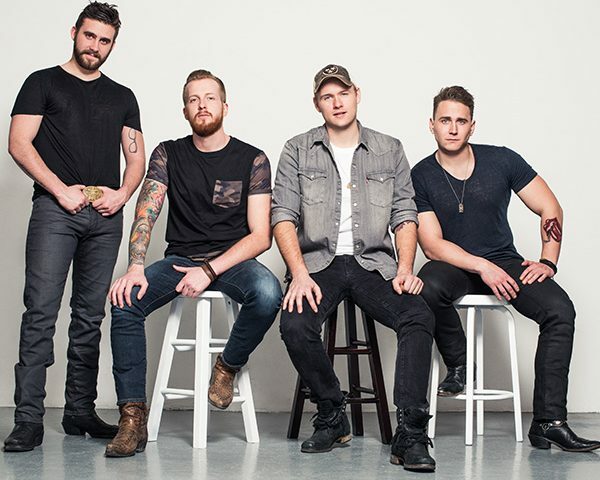 The band was also given the opportunity to open for Thomas Rhett on the Boots and Hearts main stage in front of 40,000 of country music’s biggest fans and returned to play the mainstage at the festival in 2016. “We’re so excited to finally release our EP, Game On. It feels like we’ve been working on these songs for so long that everyone should already know them, but at the same time it feels like only yesterday that we were recording Lawn Chair Lazy. We have poured everything that we have into these songs, and I hope people can feel that,” says Barker. “From the diverse collection of tunes, to the working album art and EP title, we wanted to make sure that the whole project made sense with who and what we are.